So there isn't a lot of touring, and for some students, there are few or maybe no local gigs to give them a chance for bandstand experience. And I admit, while the bandstand is a great place to learn, you also need to have a concept together before you get on the bandstand. 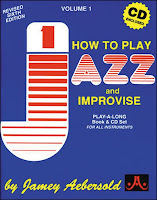 So how can a young player work out their ideas without a steady gig or even a decent rhythm section at their disposal? 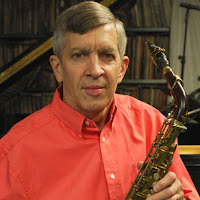 I am constantly encouraging my students to practice with the Jamey Aebersold recordings. (And trust me, I am not a paid spokesman!) For those of you not familiar, Jamey Aebersold is a saxophonist, pianist, and highly successful jazz educator. From Indiana originally, and now a professor at the University of Louisville, Aebersold introduced his Play-A-Long recordings in the late 60's. The Aebersolds, as they are affectionately known, are essentially Music Minus One recordings, which is much like the Karaoke concept: you hear the backing track and then you provide the melody. However, the Aebersolds are specifically designed for jazz and to help you learn how to improvise. The first few in the series of 126 recordings are focused on the basics: chords and scales, ii V I progressions, and blues forms. 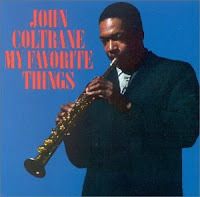 Eventually there are recordings that feature the repertoire of one jazz great, such as Charlie Parker, or Miles Davis, or Cannonball Adderly. There are accompanying books of course, and the charts of each song are clearly written, and also transposed for Bb, Eb, and Bass Clef instruments. Furthermore, the solo forms are clearly delineated, and for each chord, there is an appropriate scale written. 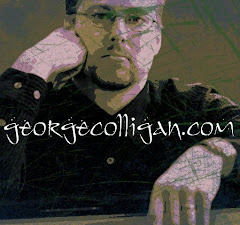 It's essentially handing you the keys to the gate of jazz improvisation on a silver platter! 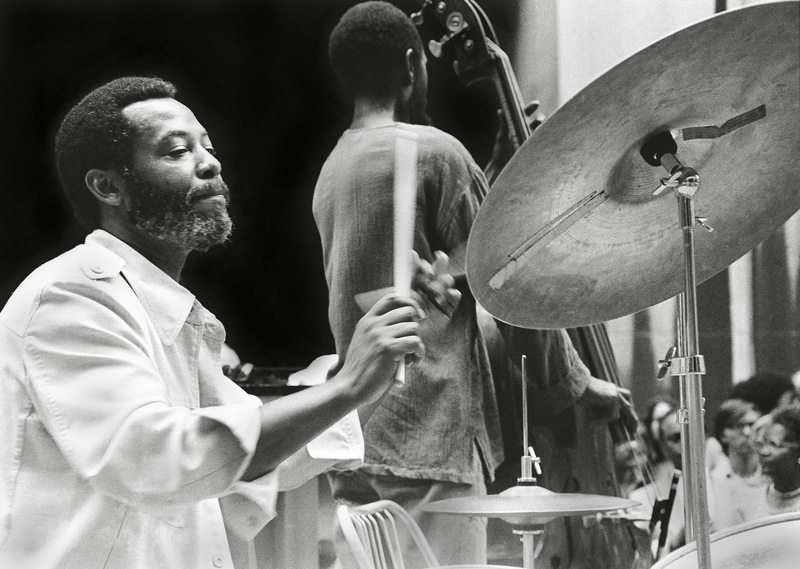 I believe that having the experience of playing in time with a recorded rhythm section is a form of training. One-it trains you to play in time in a more stimulating way then if you only played with a metronome. Two- it reinforces the form of these tunes. Three- it trains you to play and listen simultaneously. All of these things are essential for playing real jazz, and these things-time,form,and listening, are so often missing from young jazz players. I hope some of my students will read this and maybe, um, take the hint? I still play trumpet along with Aebersolds in my office when I have time between students. 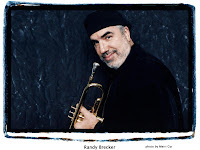 And recently, I asked Randy Brecker how he maintained his technical accuracy on trumpet. 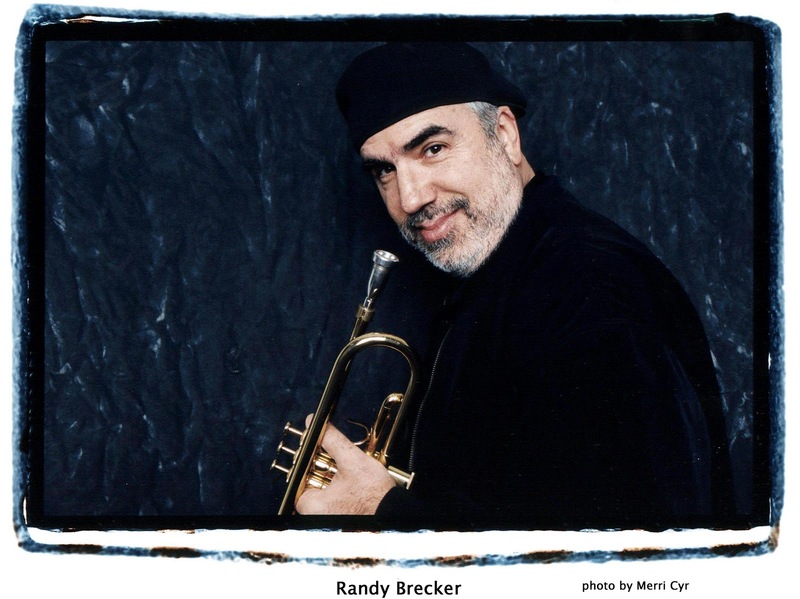 Brecker told me he plays along with Aebersolds every day. I contend that it's a fun way to practice: not the only thing to practice, but combined with listening and other things, it's a great help in developing a concept. Hopefully, you will then get a chance to try out your stuff on a real bandstand! Another great one from JazzTruth. Thanks, George! For example, I started transcribing about 2 years ago and I’ve been transcribing a bit everyday and went through 4-5 solos in past 1 year (Aaron Goldberg’s piano solos on Jimmy Greene’s Introducing CD track: Con Alma, Flower and Fly Little Bird Fly), I’ve practiced to the point that I have lines memorized I can sing them in my head from start to finish (I can only hear/sign it coherently to the solo i.e. if I think how it goes from chorus 2 measure 1, I would have to sometimes sing from beginning of solo) and I’ve analyzed the harmonic ideas of his outlines (although the more I memorize the solo, I tend to not be conscious anymore of the harmonic and chord changes but it’s more playing out of muscle memory, and I’m not sure if this is effective or not) I’ve practiced some 2 bar lines in all 12 keys on the guitar (20-50 times for that line a day --> is this not enough to memorize line correctly?) and then move on to next line and repeat again next day or work on new projects, usually I can only remember the lines vs. fretboard for few weeks then memory start to fade or become inaccurate on fretboard even these are lines that I had memorized so well. The result…and improvement to my actual playing… well not much. When improvising on the go and I don’t have time to reflect of anything, I end up still going to my familiar few patterns and few licks (and I dont know how these 2-3 main licks became so embedded and the new licks aren't), if I slow down or just sing alone without the guitar, the odd time one of Aaron’s transcribed idea will come up while singing. Then eventually I get so tired of the transcribed solo and fear that I’m not progressing the speed I should be that I move on to new solos for inspirations and then results are the same. Recently I read a book by Lee Konitz (Conversation with Improviser) and he said that LennieT used to ask his students to write a chorus etude and memorize it. So I’ve been doing that over common standard progressions and naturally if I can slow down time I hear really good ideas that I even surprise myself and have time to think how to connect changes linearly. But for my brian/fingers to be able to improvise in real-time at the rate this is going i'm afraid I will be like 80 year old. 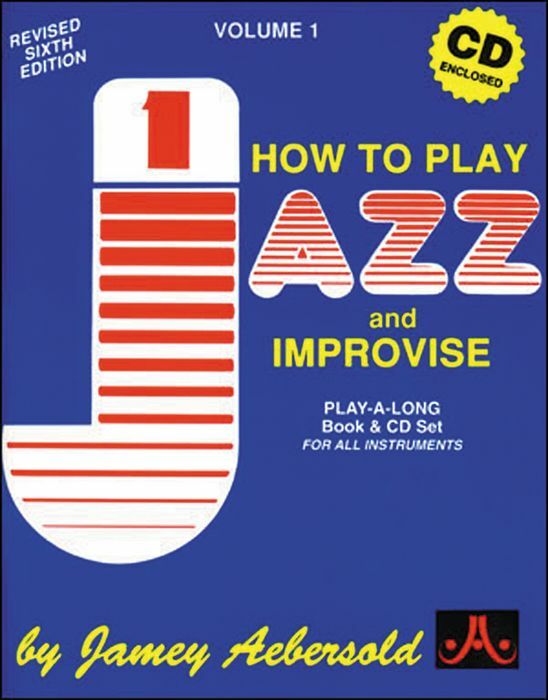 Is the way I’m studying jazz improvisation normal? Or am I going totally the wrong direction? Either way, George thanks so much!